We chanced upon ‘Mumbai Say’ in Chembur one fine afternoon that’s the perfect place to be if you’re shopping for the wedding season that’s just around the corner. From dress materials to suits, casual wear to even dresses, it has something for everybody. Housing a grand collection of readymade ethnic wear, you’ll find them in different hues and patterns, with the latest trends in place. 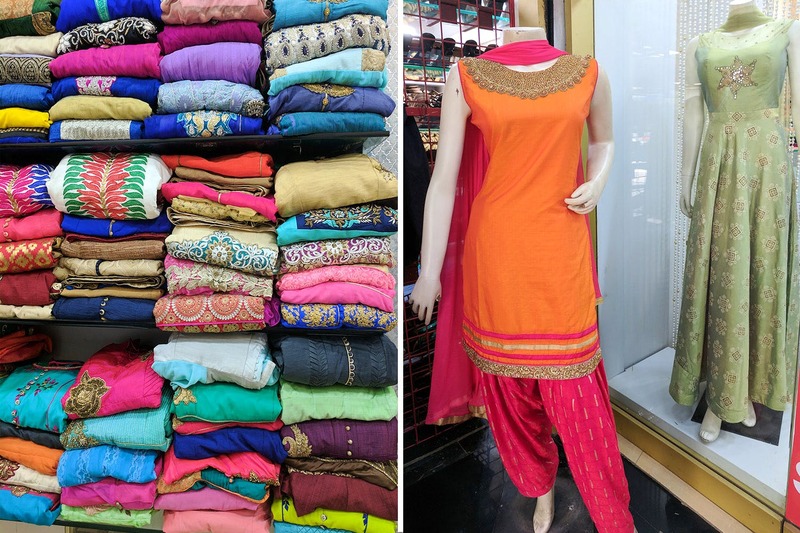 Known in Chembur for gorgeous dress pieces, you’ll find silk, semi-cotton, raw silk and more with zari work, sequins and embellishments for every look. The 7-year-old store also has an in-house tailor for alterations, to make sure you get the right fit. Their collection is available in all sizes, with a dressing room available so that you can try them on in comfort and see what works best for you. Their kurtas are priced at INR 800 and their wedding suits can go up to INR 20,000. The owner is really friendly and will help you pick out something, depending on the type of event you have to attend. It’s a great place to pick up stuff if you’re attending a wedding function and want to make a statement.